Anthony Laing, chief strategy officer of XON. In the early days of mobile, SMS was the most expensive data in the world. Essentially, it still is. Today, very few people send SMS messages because the medium remains so pricey. Enter various online communication platforms, from social networks and e-mail to video-calling and chat. Over-the-top (OTT) services have drastically expanded the scope of how we are able to communicate with each other. But these new players have not received the warmest of receptions from the industry, with operators commonly describing OTT providers as a threat to the competitive mobile landscape because they put increased strain on data networks by being so data-intense. The battle between OTT players and telcos comes down to cost. One of the biggest points of contention is that networks have to bear the costs associated with improving data networks to offer the required level of connectivity for these apps and services to function. And when a novel offering is charging signifi cantly less for a similar service, this forces the more established players to rethink their business models and relook at how best to capitalise on these new elements of the communications equation. When the price per voice minute might be 99c from a traditional telco and OTT data calls set people back less than 10c per minute, consumers will naturally choose the more affordable option. And the scenario is similar within the messaging space, where services like Facebook Messenger and WhatsApp allow people to chat back and forth at a fraction of the cost. For Craig Lowe, director of execMobile, the introduction of these offerings and the speedy growth in their popularity is rapidly eroding core voice revenues. "Over-the-top services are threatening service providers' revenue streams by effectively negating the need for consumers to make use of expensive, high-margin traditional telephony solutions," agrees Eckart Zollner, Business Development manager at The Jasco Group. As is the case with responding to any new market disruptor, telecoms companies simply have to adapt, he adds. For Anthony Laing, chief strategy officer of XON, when one projects the logical progression of the battle between OTTs and operators, you are faced with a scenario of crime lords gathering clandestinely to thrash out a code of honour among thieves. The likes of WhatsApp and WeChat have cannibalised a very profitable market for mobile operators. But there was a time when it was SMS that was cannibalising revenue from voice services, Laing says, continuing that this situation leaves operators with two options. "Either they compete by making voice calls less expensive and therefore more attractive, an option that seems highly unlikely, or they compete with additional functionality." The latter does not require that they 'reinvent the wheel', he asserts. In order to survive the onslaught of new, more affordable propositions, operators should embrace OTT services by offering them to subscribers as a competitive advantage. This means partnering with OTT players in an attempt to create a beneficial landscape for all parties involved, notes Zollner. Competing in this evolving mobile setting is about continuously offering a basket of new services, which in this case means providing easy access to social networks and messaging apps. He suggests upselling other products and services with data bundles as one way for operators to benefit from the situation. "Attainable revenues per customer can be increased. Sales of affordable and relevant entry-level smartphones, addition of insurance products, e-mail services, opening of social media channels at zero cost all form opportunities to generate additional income and constitute attractions to sell additional services. Jannie van Zyl, Vodacom's executive head for Innovation, echoes this sentiment. "This cannot be a case of us and them. We have to work together," he says. This 'coopetition' will see operators and OTT players coming up with specialised offerings structured around the use of these services. But as mentioned above, this scenario begs the questions: who pays? "The OTT providers use the networks and they're going to make obscene amounts of money doing so," says Laing. With 700 million users as of January 2015, WhatsApp, which is owned by Facebook, is set to make Mark Zuckerberg and co. as much as $7 billion in annual revenues in the near future. But if subscribers are paying less and WhatsApp is significantly boosting revenue, where is the money to provide these services going to come from? "The most likely scenario to emerge will be these mafia-like bosses being forced to sit down around the table and hammer out a thieves code to share the loot evenly," suggests Laing. Operators must embrace new business models should they wish to solidify their role in the modern telecommunications ecosystem. OTTs typically are able to innovate and adapt quickly and the challenge now is for mobile operators to keep up. When consumer data services were first introduced, the telecoms industry came up with an idea to provide customers with a specified amount of access to their infrastructure. This meant that consumers could tap into a mobile operator's data stream by purchasing the ability to access data offerings up to a certain usage amount. While levels of access to data services have greatly improved, Vodacom'sJannie van Zyl is adamant that there is still a lack of understanding around what data actually is and how some applications and platforms use more data than others. Watching a high-definition movie on your mobile device for ten minutes will cost a lot more than spending ten minutes chatting on a messaging app. Yes, it is the same amount of time, but the data intensity of the different content being accessed is vastly different, he says. Over-the-top services are threatening service providers' revenue streams by effectively negating the need for consumers to make use of expensive, highmargin traditional telephony solutions. The reality is that people are consuming so much more content and content providers are utilising new and improved networks to provide customers with media that is of a better quality - all of which means more and more data is being consumed. "Networks are faster than they were five years ago. Handsets have also improved. Now we are able to access greater amounts of content than we ever have before. The rich media world we live in today is just driving consumption up and up." He mentions Facebook's new autoplay feature as a prime example of this. The social network now automatically plays videos that appear on your newsfeed before you've even selected them. What is happening behind the scenes, according to Van Zyl, is that Facebook has already preloaded a portion of each video, which requires data, and is showing you just a snippet of the content in the hopes of enticing you to watch the entire thing. "All too often, we thoughtlessly access this content and media but forget about the data that is required to do something as simple as send a photo or upload a video." He believes that education is the best way to prevent consumers from getting a shock when they get their bill at the end of the month. There are multiple ways to track and monitor your data usage on most smart devices and from various network providers, notes Van Zyl. But the most important thing is getting consumers to make the connection between the activities they are doing on their handsets and the amount of data each activity requires. Cisco's Global Data Traffic forecast notes that the growth of data demand will exceed 60 percent per annum over the next four years. The large drivers of data growth are games and online content streaming.But why does data remain so expensive? Because there's no competition, says Anthony Laing of XON. In economies with reliable broadband, widespread WiFi and fibre connectivity, data is inexpensive. But for the vast majority of South Africans, the only real option we have is mobile data. "While it is easy and quick to connect, and the speeds are often terrific, it is expensive," he notes. 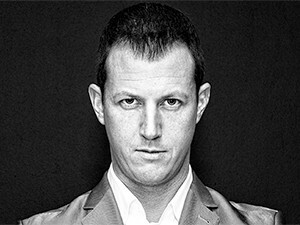 If Eckart Zollner of The Jasco Group is to be believed, the current `war' over prices that we're seeing in the market is mainly being conducted by the challenger networks. They have to offer something different and at a reduced cost because they are looking to gain market share. But this has not yet really affected the large incumbent players that control the majority of the market, he continues. Laing believes that LTE is the only real option for South Africans because fibre is not yet extensive enough. "I laugh when I see the announcements on Facebook by people claiming fibre is becoming ubiquitous. It's not." Again, he stresses that the problem comes down to a lack of competition, which means that those offering fibre are able to charge exorbitant amounts of money for it. And with strict regulations around spectrum, and access to it, those who already own the spectrum, own the market. "Mobile operators are massively profitable in this country. They may bleat that earnings are down, revenues are down, margins are down, but they're still raking in bundles of cash. So they have absolutely no incentive to change the system. It works for them." Data is the future for MNOs and they have the resources and capital to invest in infrastructure. But this handful of powerful players has little incentive to drop prices when they dominate the market. Laing is adamant that operators can afford to drop their prices, continue to invest in infrastructure and still make a profit. "But until they face more competition and while we, the consumers, still want some kind of connection, they'll maintain the status quo."